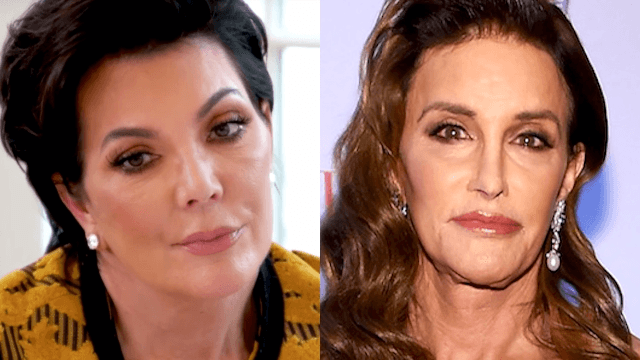 Kris Jenner rants against Caitlyn's 'made up' memoir in tense 'KUWTK' clip. Caitlyn Jenner's new memoir The Secrets of My Life is set for an April 25 release, and the reactions are already pouring in. One person who found the book particularly compelling was her ex Kris Jenner, who was married to her (then known as Bruce) for more than twenty years. Apparently, Caitlyn used the memoir to rewrite their marital history, telling personal stories that vary greatly from how Kris remembers them. And as you can see in this clip from next Sunday's episode of Keeping Up with the Kardashians, Kris is stunned, hurt, and hopping mad. I tell Kris about my gender issues before I make love to her. This will always be a subject of dispute between us. She insists that she was taken by surprise by my ultimate transition to Caitlyn, which obviously means in her mind that she did not know enough. On the other hand, the memoir clearly contains a lot of intimate detail about Caitlyn's life, too. There's a whole section on the gender reassignment surgery she underwent this past January. Make sure to pick up your copy of The Secrets of My Life, unless you don't care about keeping up with the Jenners. But you already read this much, so you probably do.